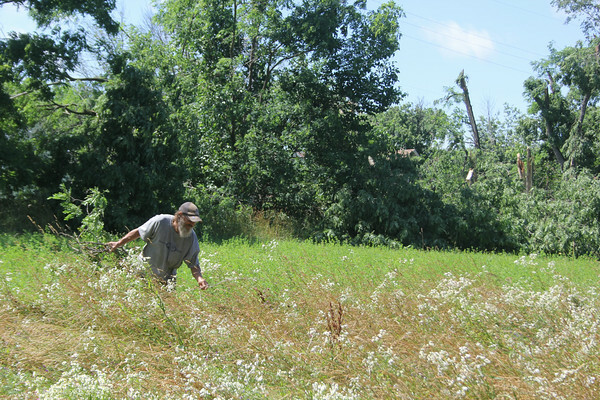 Joel Wenger clears broken branches from his father's property Tuesday on Ind. 119 near C.R. 38. His father, Robert Wenger, said a tornado ripped through nearby trees, tossing large branches into his yard.